This Christmas, our table is all about the joy and warmth of the season. Classic Lenox china is layered over festive gold rimmed chargers creating a rich (and sparkly) table scape. Mixing in antique silver flatware and red baubles adds a personal touch and is a sweet way to acknowledge Christmas feasts held by generations past. 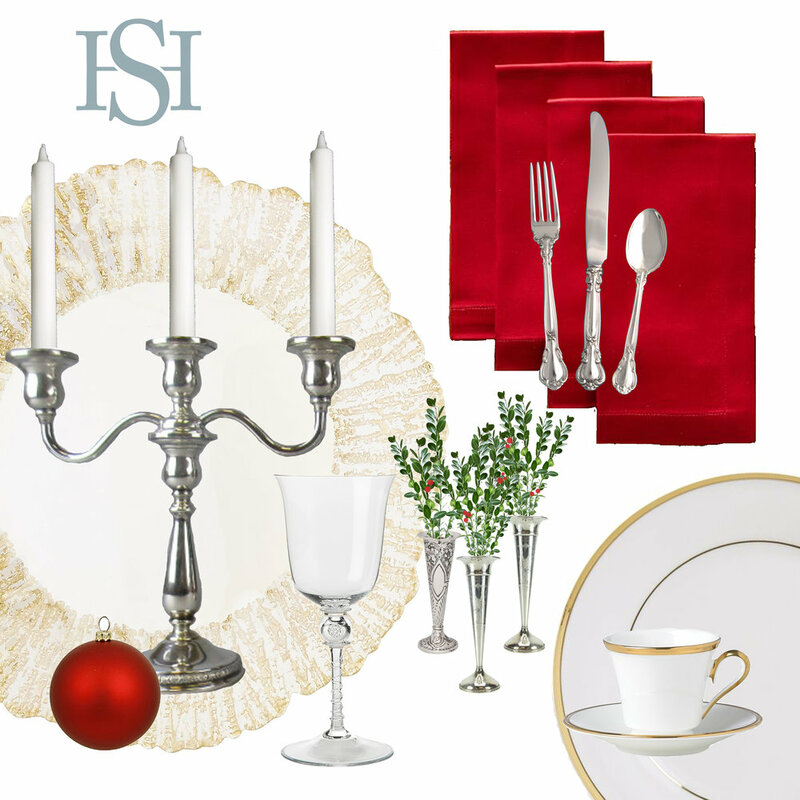 Traditional sterling silver candle sticks and Juliska glasses that beg to be filled and used for holiday toasts brighten up the table even more, while delicate sterling silver bud vases bursting with holly, berries, and baby’s breath integrate the season’s colors and add natural vibrancy. Finally, red linen napkins and a red ribbon tie the colors of the table together while giving a nod to our traditional southern style. The eye-catching shine of silver and gold, the pops of vivid red and green, and the combination of elements and accents both cherished and new: our table honors the past, celebrates the present, and heralds a bright new year.